No matter how many hiring decisions you’ve made in your lifetime, none compares to choosing a nanny for your child! Here, at Nannies by the Bay, we understand your concerns and how daunting this decision can be. That means that every nanny candidate we recommend has not only passed a thorough screening process, but has been personally matched to your family, based on a customized nanny plan geared toward your families comfort level and needs. 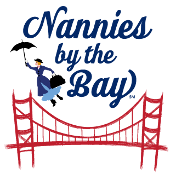 Heidi Imbus established Nannies by the Bay as a high level resource to place trustworthy nannies in San Francisco and Bay Area homes. Heidi understands the close relationship a nanny has with a family, having once been a nanny and personal assistant for over twenty years. With her background, she brings a wealth of knowledge to placing trustworthy people to care for your children and create a harmonious home. What is unique about her placement process is her approach. She meets every family in person to fully understand their needs. Likewise, every candidate is vetted thoroughly before the process can begin. She believes in an old school, sit down with people face-to-face style, to understand expectations and needs. And most importantly, spending the time to make certain your family has a kind and trustworthy addition to your household. Helping families gives Heidi personal satisfaction. She believes in building lifelong relationships. As your family needs change and evolve, both Heidi and her team are available to support those needs. Heidi has lived in the Bay Area for 17 years. She earned a B.S. Degree in Organizational Behavior and Leadership from the University of San Francisco. During her spare time, she enjoys travel and supports animal advocacy causes.